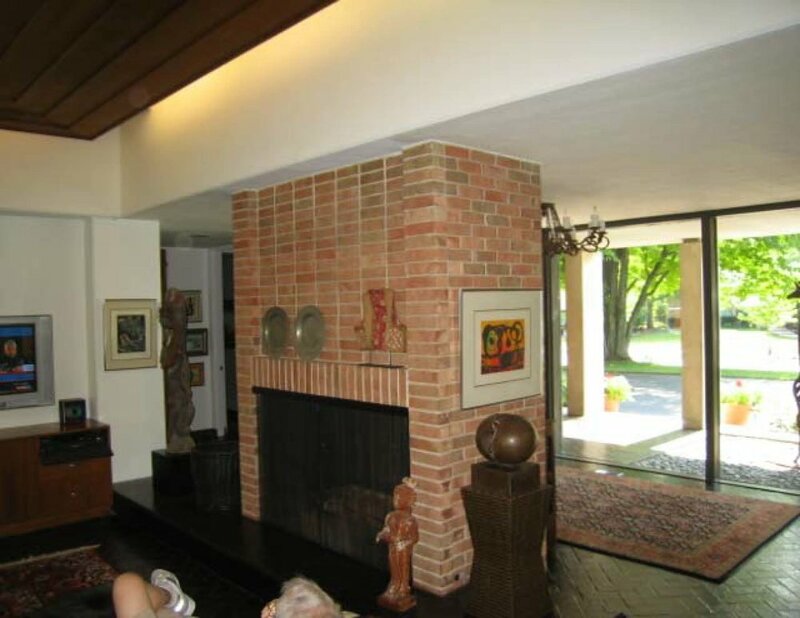 Designed in 1962 by Edward Dart, the home had undergone several well-intentioned improvements. The vintage living room's skylights were covered by plywood and fluorescent lights and the ceiling's dark stain visually brought the ceiling height lower and darkened the room. The homeowners approached KQA for a renovation of their 700 sq ft living and dining room. 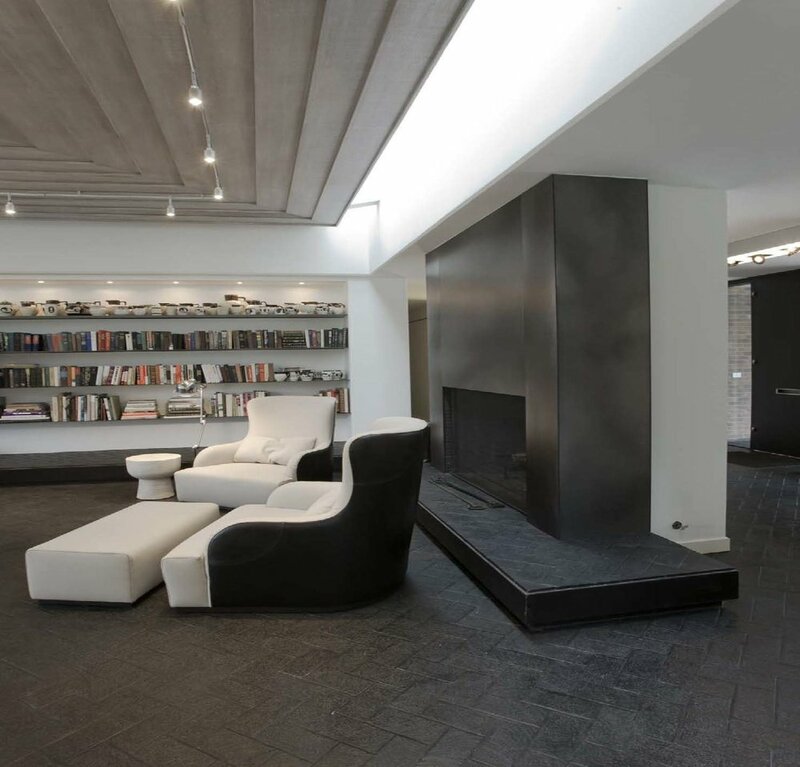 As a result, the skylights were restored, the ceiling stain changed to a driftwood gray, the original brick fireplace sheathed in steel plate, and the floors were replaced with black herringbone brick. The interior renovation transformed the mid-century dated living room into a well lit, serene space with a modern palette. The client initially wished for a simple renovation of adding space to the attic with hopes of extra storage, but soon, the collaboration turned into a project that kept on expanding. Since adding space to the attic would require large structural modifications, KQA instead removed the post-modernist addition that had originally been the family room, and replaced it with a mudroom to house storage for gear. As for a new family room, the neglected sunroom was refurbished and screen doors were installed to provide a seamless transition to the garden.